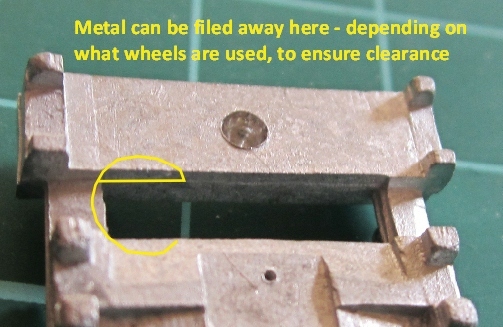 There are four basic parts for a wellcar plus etches and decals if purchased. Prepare the parts and check fitting. Use CA glue to secure the ends and sides of the car. Slot the ends onto the locating lugs on the side panels ensuring that the car is square and flat. 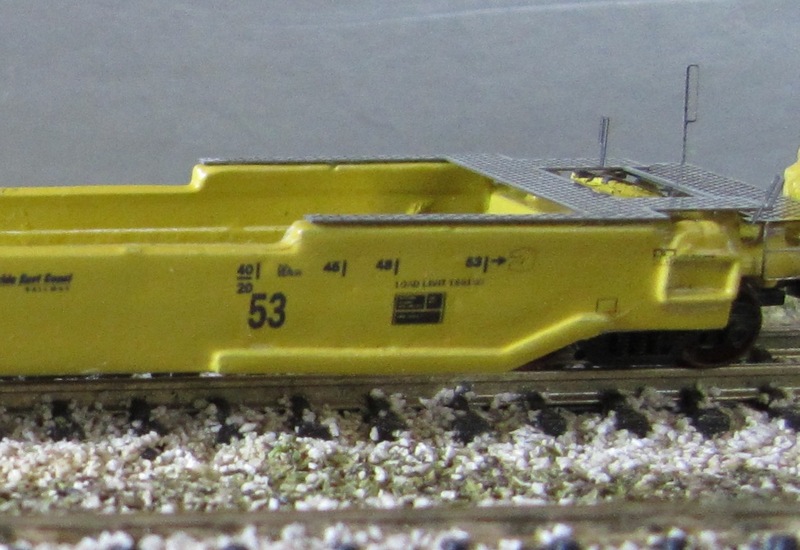 An assembled single unit car. Trucks pins should be located into the holes under the frame. 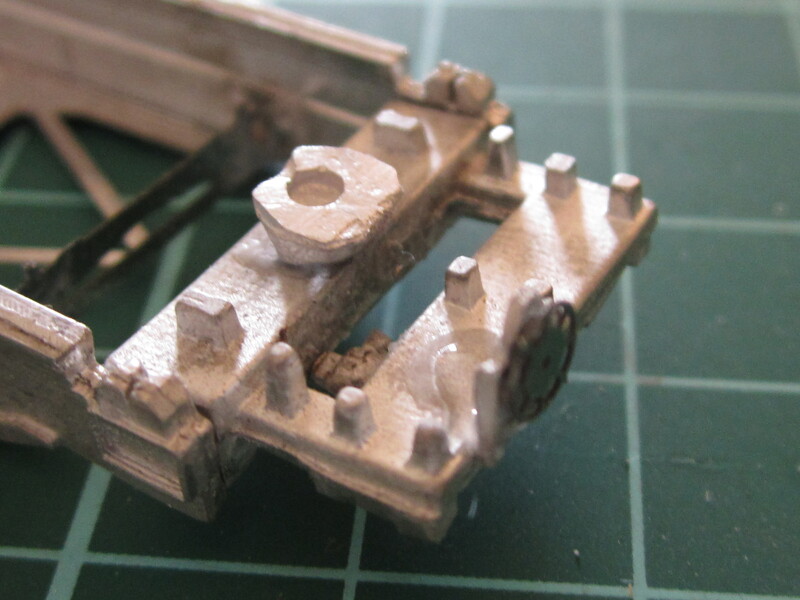 These can be drilled out further if required, any resulting hole in the upper surface will be covered by the hitch plate, and cannot usually be seen, especially if the truck pin is painted in line with the paint scheme (arrowed). Bend the wellcar floor to create the ends of the car floor as shown. The floor locates along the bottom ridges of the wellcar sides. Glue in the wellcar floor. 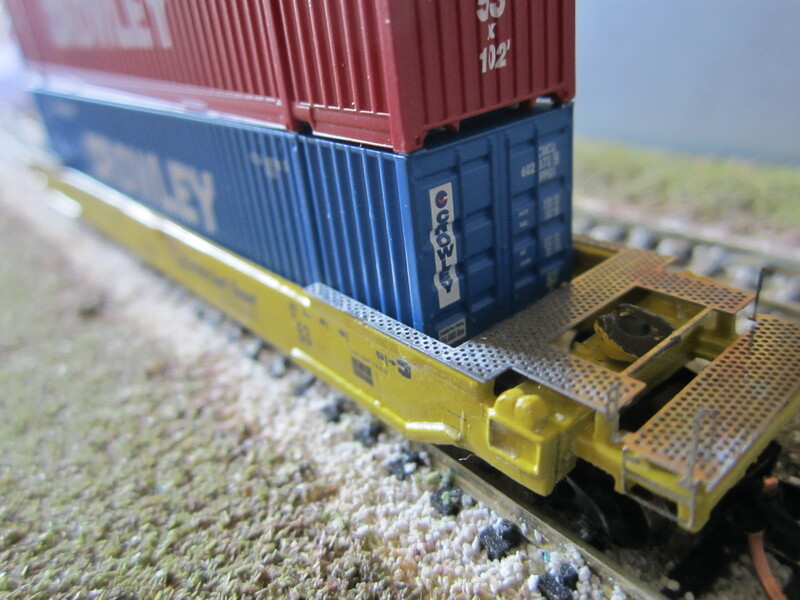 If the car is to run on tight curves, fit trucks, place on track, and check clearance of trucks under the car (arrowed) and file back as necessary for clearance on the tightest curve the car will need to negotiate, (preferably before painting). 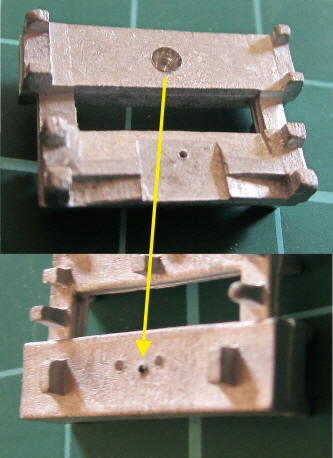 The hitch plates should be located onto the end plates, as shown. The hitch plate tops are painted black with grease! 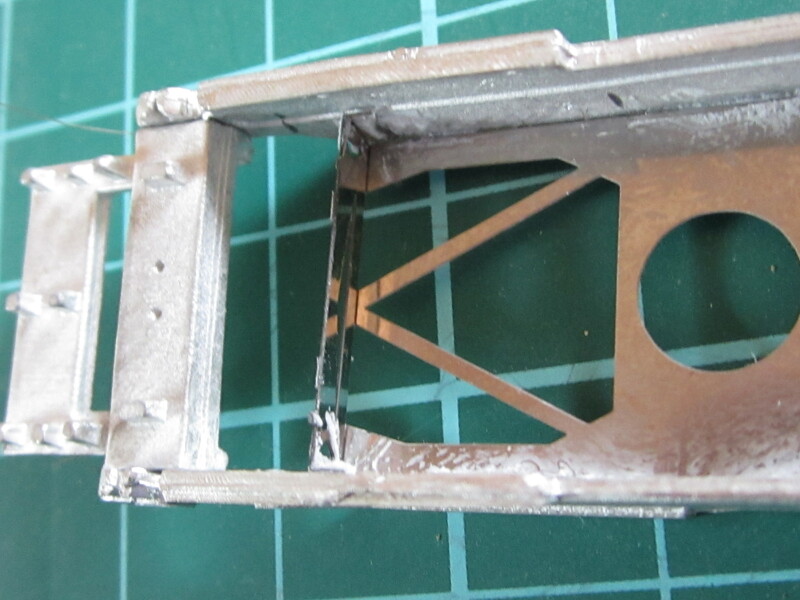 After painting the assembled wellcar, and before fitting the walkway etches, bend the end walkways on the half-etched fold lines, as shown (left), and fit to car (right). 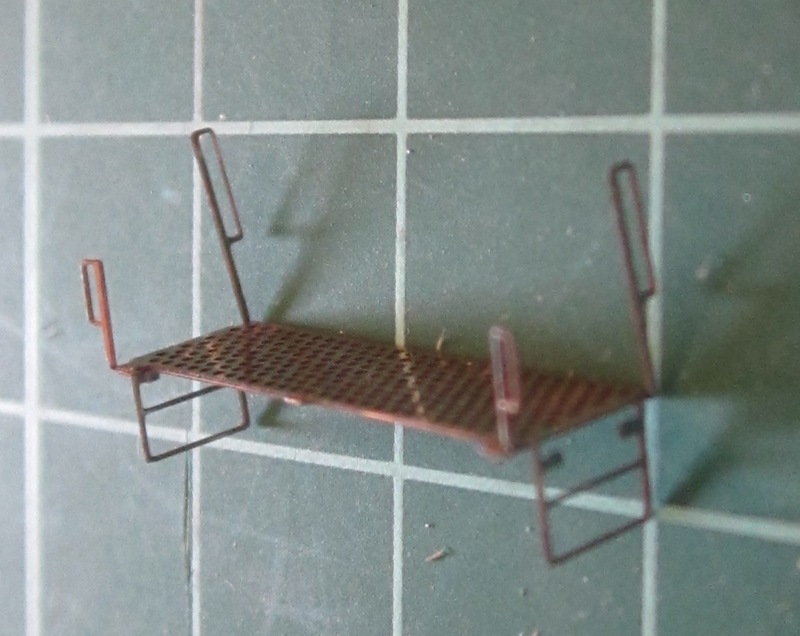 The etches should remain unpainted as they are left as unpainted steel in the FEC paint schemes. 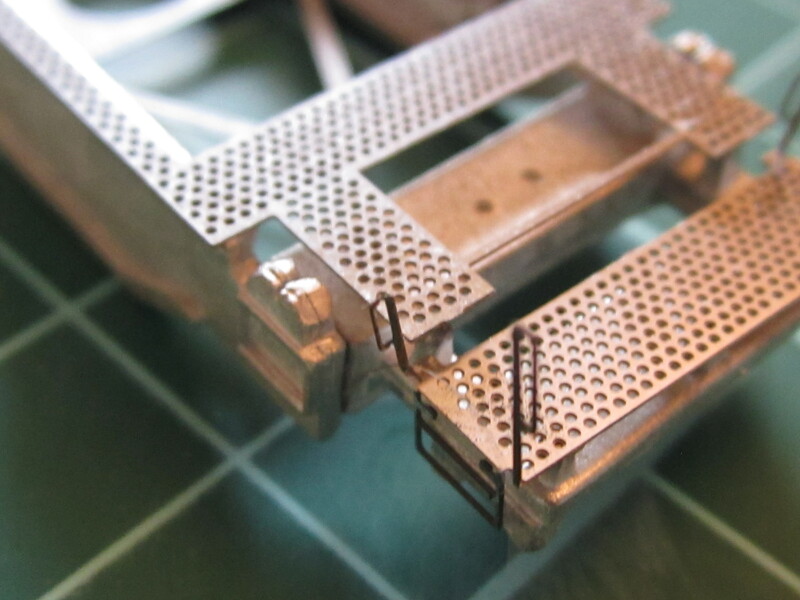 Body mount couplers are preferred, the coupler should be attached under the end platform framing. If truck mounted couplers are used, file sufficicient metal from the ends to allow the truck to swing.